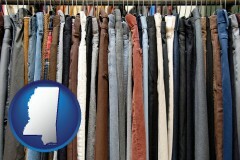 This Clothing Stores directory includes clothing store web pages for selected counties in Mississippi. Each County page lists clothing stores located in that County, including their organization or website names as well as their locations, phone numbers, and website links. Each directory listing specifies the product and/or service categories that are relevant to that listing. 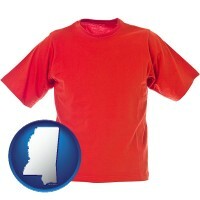 Related directory pages are highlighted below the Mississippi clothing store directory. 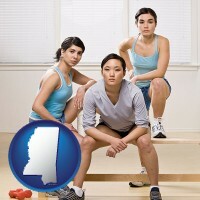 Mississippi fact and map page links are also included at the bottom of this page. The following enterprises have stores or other operations in multiple Mississippi locations. Many of these large clothing stores list their store locations on their websites. Mississippi QuickFacts - demographic statistics about Mississippi from the United States Census Bureau.